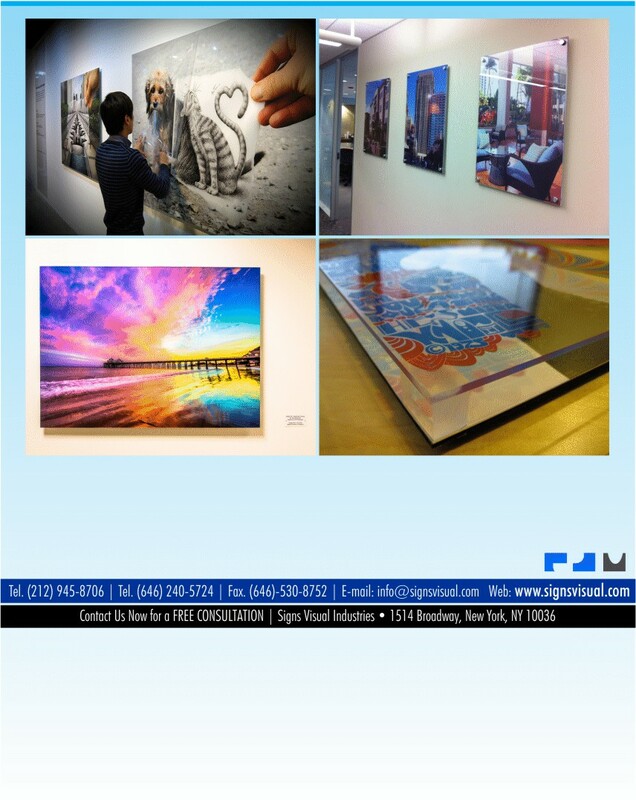 Signs Visual prints custom plexiglass and acrylic signage for art galleries, exhibits, and showroom displays in New York, NY. Our plexi prints feature a clear acrylic panel that is sandwiched with a high-quality full color printed laminate that is face mounted onto the back of the clear plexi. These plexi gallery printed signage can be mounted with stainless steel standoff hardware on the corners or with kleats on the back. The panel features flame-polished diamond edges for crystal clear perfection. Contact us today!